Healthcare industry use promotional products to its advantage in many ways. The industry distributes the products to the customers to win their loyalty. The recipients keep the freebies in their homes and offices, reminding them of your company and its products. Thus, your promotional products ultimately help drive the recipients to your pharmaceutical or other healthcare products. 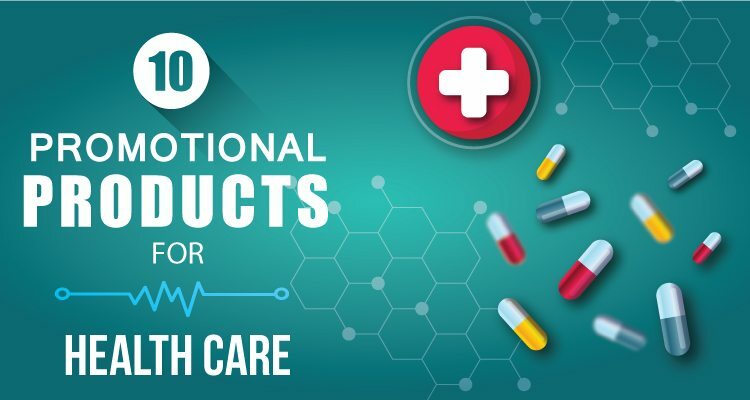 Although the medical industry can offer common freebies such as mugs, pens and water bottles etc, but these traditional and clichéd items do not evoke the desired response from the customers. For better brand exposure, pick the promotional products associated with healthcare industry. You can deliver these gifts on the sidelines of a seminar on health issues or any other event and at tradeshows or simply give them away to hospitals, clinics, your employees and others. The medicinal bottle opener is a useful gift that your clients and customers would like to keep around. The opener is an ideal solution to open the tightly sealed cap of the medicinal bottles. Elderly patients or people suffering from arthritis will especially find the opener highly useful and handy. You can distribute this promotional product to the doctor’s offices, pharmacies and at the tradeshows. You will give a boost to your healthcare company’s brand image by offering mini tissue packs as freebies. 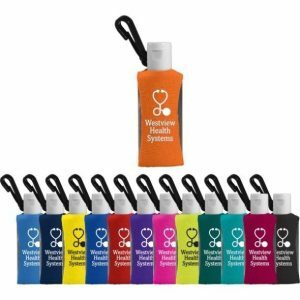 This cost-effective promotional product can be used during cold and flu season and all year around. The mini tissue packs can fit anywhere due to their small size. The tissues are available in several eye-catching colors. 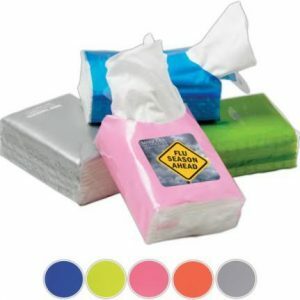 You can distribute the tissue packs at tradeshows, health and wellness campaigns. 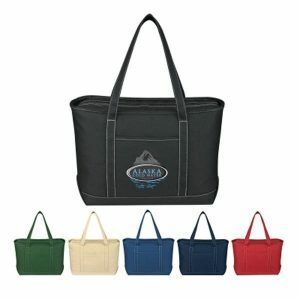 Cotton tote bags are the durable alternative to cheap shopping bags made of low quality plastic. People will happily receive Tote bags for routine grocery and shopping. But prefer offering them sturdy and durable canvas bags. The larger imprint area on these bags allows you to print your medical logo, company name, and brand message broadly for clear brand visibility. People can use cotton tote bags for multiple purposes as shopping bags, messenger bags and in many other ways, making them versatile promotional products for your industry. 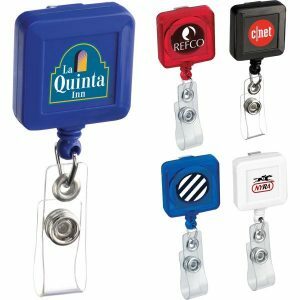 Your clients will love to have retractable badge holder as a gift. This freebie from your healthcare enterprise will help them keep ID, security badge, electronic verification card and other such items without any fear of losing it. The badges come in several colors and features, making them ideal promotional product giveaway for security companies, businesses, and universities, etc. Customize the badge with your company logo, name, and a brand message. A mini pill cutter will cut your medicinal tablets in half and store the pill so that you can carry the medicine on the go. The rectangular-shaped pill cutter has a mini chopping block and pill storage inbuilt. It can be carried in any purse or bag. 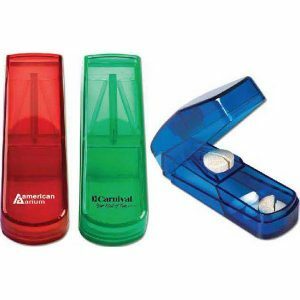 This makes the mini pill cutter an ideal promotional product for to advertise your healthcare business. Just print your company’s logo and hand it out at a tradeshow to draw the customers’ attention. Branded pocket first aid kit come handy when some patient requires urgent medical attention while no doctor is around. 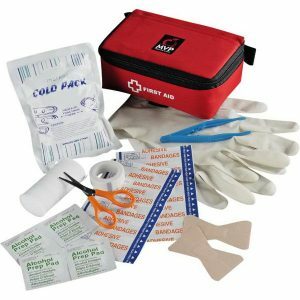 Your recipients of the kit can help their family members at home or friends elsewhere by providing them the first aid immediately before taking the patient to the hospital. The kit is an excellent promotional gift and lots of companies are using such items. The kit contains a cold packs, scissors, tweezers, latex gloves, bandages, and a roll of tape and alcohol swabs. The dental kit will make a great promotional product giveaway to the people and your target audience of the healthcare company. 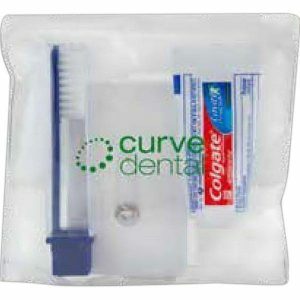 The kit consists of a dental floss dispenser with mirror, toothbrush, mini toothpaste and other things for dental hygiene. These kits are especially useful to the travelers. Make sure that the kit has your company logo and message printed on it impressively. 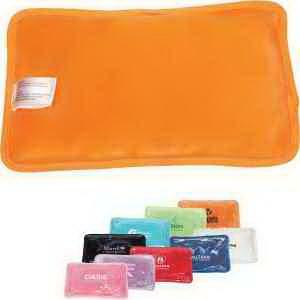 Hot and cold packs are useful health aid to relieve athletes and others from body pain. Your healthcare company can offer the packs as gifts in its promotional campaign. The packs can be microwaved or kept in the freezer to get the type of compress a patient needs. Print your company’s logo on these reusable packs and get draw the customers’ attention to your healthcare business. Hands properly washed with the help of antibacterial hand sanitizer gel are the way to maintain a healthy body. Your recipients of the gel as a promotional gift will be delighted to have this useful product in their homes and offices. 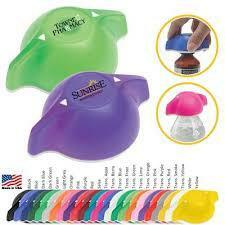 Make sure that you customize the sanitizer gel with your company name and logo. 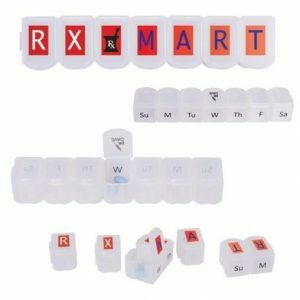 7 day pill case is another useful gift that your customers will like to have to keep their weekly schedule of taking the pills intact and handy. The case helps the patients to take the pills regularly without missing a day. The case has 7 individual compartments, one for each day of the week and it can be snap closed. Customize the case with your company name and logo. In the end, we can say that promotional products are a great way to market your healthcare business and company’s brand name to the people in an effective way. The freebies generate goodwill for your company among the recipients. The gifts ultimately make the potential customers visit your business.